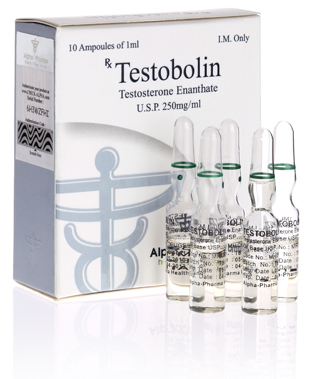 Testobolin is a long-acting testosterone commonly used in testosterone replacement therapy. As with all testosterones, testosterone enanthate promotes muscle growth, libido, and strength. Testosterone is good for slow and steady muscle growth with minimal liver and kidney stress.